As a general internist with a small concierge practice I have tried to coordinate my patients’ care and dealings within a complex, bureauc ratic and dysfunctional health system. 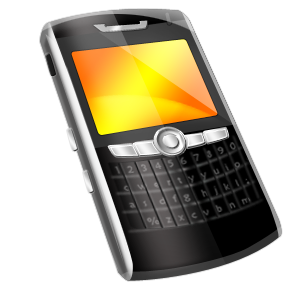 Patients have access to me 24 hours a day, seven days per week by telephone, cell phone, email and text messaging. I do not have an answering service so all after-hours calls are forwarded directly to me. During the initial patient orientation visit we discuss the need to keep me abreast of their health concerns and problems so I can bring the big picture to their immediate and localized health concern or problem. Similar information goes out in my quarterly newsletter and is on my web site. I am trying to reach the technologically sophisticated patients as well as the technologically challenged. I was somewhat surprised to receive a late Friday night call from the local ER to tell me one of my 86 year old cognitively impaired individuals was being evaluated. When I spoke to the charge nurse I found that the patient was brought by the paramedics for intractable nausea and vomiting. This particularly charming, mild to moderately cognitively impaired, woman had moved with her 90 year old husband from her private residence to a senior facility on my suggestion so that care was available for her as she deteriorated and required more hands-on attention. They were thrilled with the new apartment as well as the care and concern provided by the staff. I had seen the patient six weeks ago and she was doing fine. There was no mention of problems. Since her last visit she had developed a dental problem. Unknown to me, her dentist extracted all her left lower jaw teeth and made arrangements for a periodontist to perform three dental implants. The periodontist pre-medicated her, one hour before surgery, with 1 gram of the antibiotic amoxicillin because seven years ago she had a surgical knee replacement. She then had the surgery and was sent home on Tylenol and codeine for pain. She took her second Tylenol with codeine at home, went down to the community dining room, ate some chicken soup, felt ill and vomited several times. The dining room staff just called 911 and transported her to the local ER. I was called by the ER doctor after his evaluation to say he believes that between the large dose of oral antibiotic and the codeine, the patient became nauseated and vomited. He was prepared to give her some intravenous fluids and send her home. After completing the IV fluids she got up to go home, became lightheaded and had another bout of emesis. I was called back at about midnight and went in to evaluate her. She looked fine but a bit dehydrated so I decided to observe her overnight while administering fluids and anti-emetics if she needed them. I had no previous knowledge that this cognitively impaired woman with a limited future lifespan was having such extensive dental surgery. There is much controversy about whether an individual with a prosthetic knee replacement even needs antibiotic prophylaxis with an antibiotic notorious for causing GI distress. There were additionally concerns on my part about the choice of a codeine based narcotic for pain control based on her existing medication list. Had the husband, patient or dentist called in advance to discuss this we could have come up with alternatives that may have prevented this hospitalization. If the primary care physician is not included in the care plan and kept current, how can one be expected to coordinate care? After evaluating the patient and making the arrangements for her to stay overnight, I expressed my disappointment to the patient’s spouse about not being informed of the impending dental procedures of this magnitude in advance. He apologized profusely for not thinking to call me or asking the dentist to call me. He asked me to write about it in my blog to let the other patients know why they need to keep their doctor informed of all their health care comings and goings. Metal Joint Replacement – Should Allergy Testing Be Done First? As our physically active baby boomers age, more and more of them are facing the need for joint replacement. We run, golf, bike and attend exercise class all in the name of fitness and cardiovascular health. As a result, many of us have bodies that are becoming beat up and worn. There have been numerous articles discussing the large increase in knee and hip replacements in active 50 year olds who wish to continue to be as active as they were prior to joint replacement surgery. An article appeared in this week’s MedPage online journal about a small Italian study conducted regarding chronic pain in “successful “metal joint replacements in the lower extremity. Most of us know someone who had a perfectly unremarkable uncomplicated knee or hip replacement who is now suffering from unexplained pain at the surgically repaired joint site. X Rays show perfect alignment. CT Scans and MRI scans show perfect surgical alignment. The patient remains in pain. The study released by Italian researchers’ discusses allergic contact allergy being the cause of the continued pain. 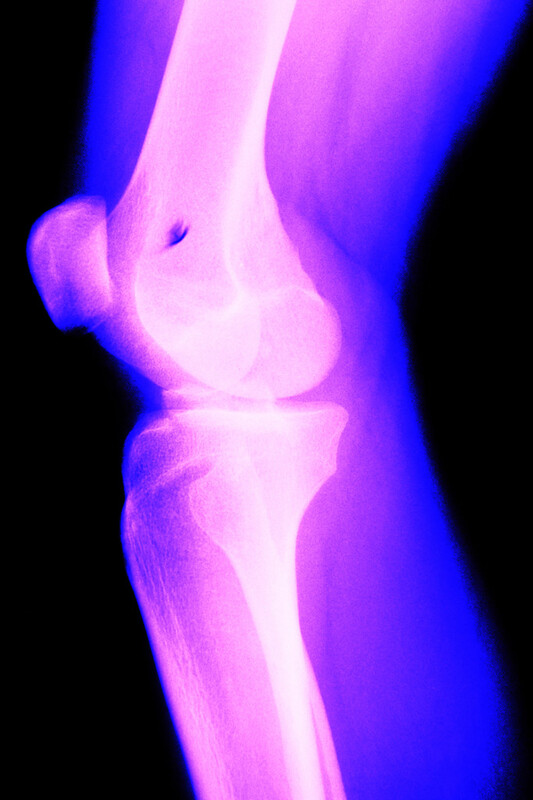 The individuals evaluated are allergic to the metals in the artificial joint. In the study subjects were patch tested in advance of joint replacement. Those showing allergic sensitivity to metals contained in the prosthesis received a hypoallergenic product instead. They did not develop the unexplained pain and discomfort and had a great outcome. While the study was small and the results preliminary, it raises the question of whether allergy patch testing prior to elective joint replacement should, and will, become the norm in the future. I referred my second patient to a specialty surgery department at a local university center last month. The patient is a practicing physician with severe lower back disc disease and structural abnormalities. He saw a highly acclaimed surgeon who won the patient’s confidence. I performed the required preoperative evaluation requested by the surgical team, called the surgeon to make sure we were on the same page, and made sure all the appropriate records and labs arrived at the center prior to the patient’s surgical date. Three days after the scheduled procedure I received a phone call after-hours from a nurse at a local rehabilitation facility telling me my referred patient had been transferred from the university center after discharge and requesting confirmation of admitting orders to their facility for postoperative rehabilitation. I had not received a phone call from the surgeon or his staff to discuss how the surgery had turned out. I had received no phone call, fax or email telling me when they planned to discharge the patient. I received no communication discussing discharge instructions and medications. The surgeon is a chief of a department responsible for teaching fellows, residents and students how it should be done. He fumbled the handoff and sent a patient on his way with a bunch of handwritten chicken scratches on a form filled out by a case worker. In the era of cell phones , smart phones , email , faxes , instant messages and tweets it seems like communication between practitioners has gotten worse not better due to lack of effort and failure of practitioners to acknowledge that it is their job to take the time to make the transition smooth and seamless. The hospitalist program at my community hospital is no better. Physicians employed by the hospital were supposed to “move “patients and facilitate discharges helping the hospital’s financial “bottom line.” Hospital administration contracted with non-fellowship trained hospitalists to admit patients who arrive through the ER and have no doctor. The hospitalists are only too happy to admit patients of staff members who do not wish to attend their patients in the hospital. The problem is that the hospitalist do not enjoy coming in at night. When a patient with a hip fracture shows up at our ER, the orthopedic surgeons on call for the ER now believe they are consultants not doctors. They will not admit a surgical case. They want the PCP or hospitalist to do it for them. If a broken hip case arrives after 7:00 p.m. “the hospitalist “admits the patient sight unseen over the phone and then comes in by 7:00 a.m. to see the patient. Our hospital has some patient unfriendly bylaws. If the ER doctor calls you and says your patient requires admission you have 30 minutes to provide admitting orders over the phone or in person but you have 12 hours to arrive and actually see the patient. Showing up 12 hours later often pushes the surgery back a day negating the main reason hospitalists were hired. When the patient is ready to leave the hospital it is rare that the facility has introduced the patient to an outpatient physician for follow-up care. If the patient actually has an outpatient physician it is even rarer that the hospitalist contacts them to discuss the hospital course and discharge medications and instructions. The system in the Intensive Care Unit is no better. After years of debate and disagreement based primarily on economic issues and turf and privilege battles, administration contracted with a pulmonary group on staff to provide fulltime intensive care physicians. They went out and hired a bunch of young ICU specialists and salaried them. These physicians run the critical care areas. I have always favored fulltime ICU physicians in our community hospital because with no interns or residents there are no physicians in the facility after hours. I was a bit surprised when the contract allowed the ICU doctors to go home at 11:00 p.m. leaving no one in the units until the next morning. My first contact with the intensivists came after a weekend away during which my associate covered for me. He admitted a patient to the hospital with a raging pneumonia. Since the patient was taking an anticoagulant Coumadin he had to specifically choose an antibiotic that didn’t alter the affects of the blood thinner. Later that first night the patient had some respiratory distress so my associate came in and transferred the patient to the ICU. He called the intensivist and discussed the case in detail. He made rounds the next day and reviewed the chart and pointed out to the ICU specialist that the antibiotic he had switched the patient to potentiated the Coumadin effect. He suggested checking the clotting study and adjusting the dose of the Coumadin. Within the last six months an editorial in the Journal of the American College of Physicians was critical of hospitalist programs for the poor communication when a patient leaves the hospital and returns to his doctor in the community without communication occurring. 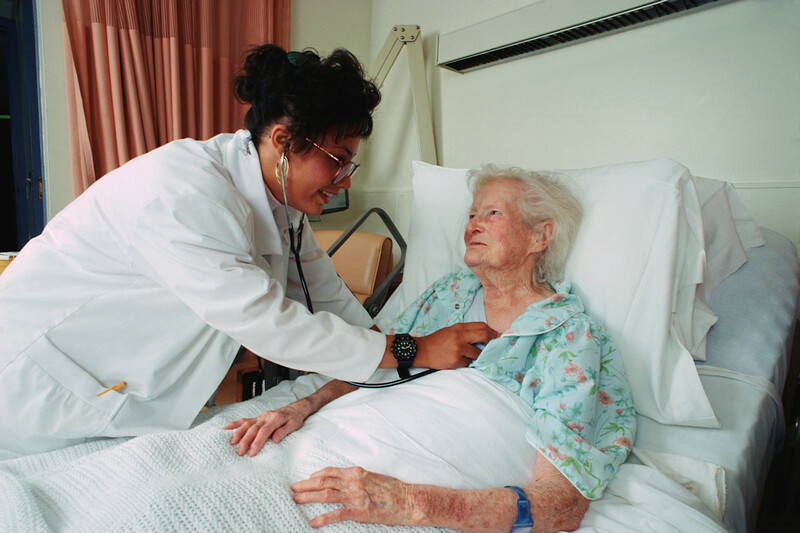 A recent research article in the same journal revealed that patients treated by hospitalists require re-admission to the hospital for some complication of the original problem far more often than if their personal physician cared for them. The ultimate cost to the system was higher. The problem is the communication and handoffs. The referring physicians are not without blame either, often sending patients to physicians they have little contact with accompanied by little if any information as to why they were being consulted. A culture of communication and sharing of information professionally became a culture of “I am too busy to make a call.” The one that suffers is the patient and the people paying more for care because of communication breakdowns. The American Medical Association and the American College of Physicians have supported the development of the specialty of hospital medicine long before I believe they should have. These organizations are heavily dominated and supported by specialty physicians who are paid handsomely to stay in the operating room and perform procedures rather than care for the patients. Having hospital employed physicians to be their “scut “workers and take care of the patients with their nurse practitioners and PAs makes sense to them. It breaks the link of good continuity of care and just isn’t very good for patients or overall costs. Legislators, politicians, employers, insurers, medical school faculty keep looking for ways to overcome the shortage of primary care physicians and the large gap in payment between cognitive services and procedural services. The solution to the problem is to pay the primary care physicians well for their evaluation and management services, train them thoroughly and completely and allow them to care for their patients in all our health care venues. Bariatric Surgery Reverses Diabetes – But What About Seniors? A recent well written article in the Fort Lauderdale Sun Sentinel discussed how bariatric surgery to treat extreme obesity was also now a formidable weapon against Type II Diabetes Mellitus. Type II Diabetes Mellitus or adult onset diabetes occurs in older individuals and is closely related to weight gain, high blood pressure, elevated cholesterol, triglycerides and accelerated narrowing of arteries. The accelerated artery-narrowing results in premature and advanced coronary artery disease and peripheral arterial vascular disease. A study published in the American Journal of Medicine in 2009 looked at 3,188 obese Type 2 diabetics who had bariatric surgery and lost weight. Amazingly, 78% of them no longer met the criteria to be called diabetics. Bariatric surgery includes minimally invasive surgery such as laparoscopic adjusted gastric banding to the more invasive re-routing of the intestines and reduction of stomach volume in the classic Roux-en-Y gastric bypass. Other procedures include open duodenal switch and vertical banded gastroplasty. These types of procedures are only performed in the morbidly obese defined as those with a Body Mass Index (BMI) of 40 or greater. The results in reversing Type II diabetes have been so impressive that experts are now considering reducing the BMI to 35 for consideration of candidacy to have these procedures. Why these procedure reverse diabetes is a matter of debate. Weight loss is a traditional successful treatment for Type II diabetes. Some believe that the actual surgery on the gut stimulates hormones that help control the blood sugar. The positive result has led insurance companies to now start approving payment for these procedures because the $18,000- $30,000 cost is cheap compared to the $300,000 lifetime cost of treating a Type II diabetic. With so many elderly obese patients with Type II Diabetes, and other metabolic and cardiovascular complications of obesity in the health system, is the procedure safe for the elderly? A recent study by Robert B. Dorman M.D., at the University of Minnesota seemed to indicate that the surgery is safe. He looked at 48,378 patients with a BMI above 35 who had bariatric surgery between 2005 and 2009. He found that the mortality rate for seniors over 65 was higher than for younger patients but was still extremely low and rare for a death to occur. 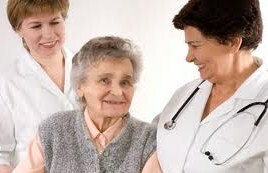 Longer hospital stays were noted for the elderly and were related to how heavy the patient was prior to surgery. This study gives bariatric surgeons excellent figures on the risk of complications when performing bariatric surgery in the elderly. As a primary care physician working with elderly Type II Diabetics, I will continue to stress lifestyle improvement with dietary improvement, weight reduction, increased exercise and activity as first line therapy. Medication when necessary will be next. Bariatric surgery, now proven to be safe is a new weapon available to the proper patient. 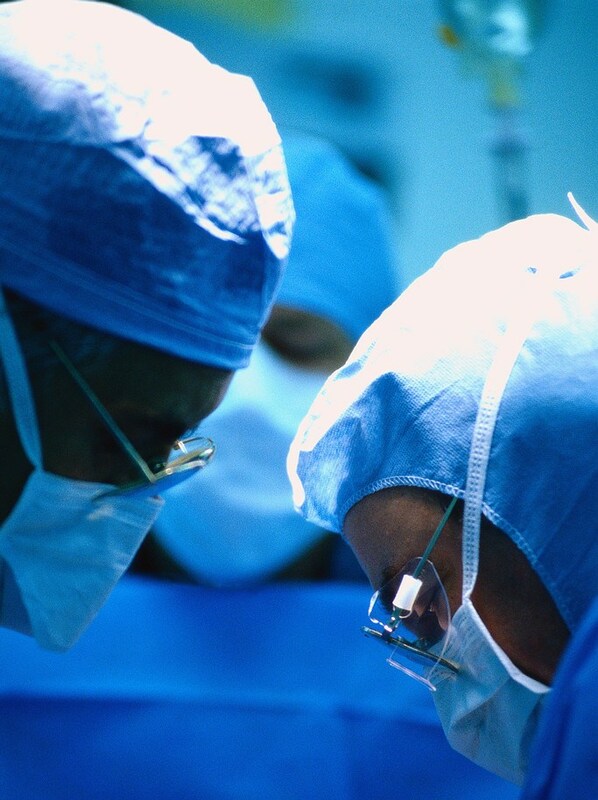 Finding an experienced surgeon in performing the procedures (more than 200 of that procedure) will be paramount in reducing complications and mortality.